This stamp is from Northwood Rubber Stamps and is very large. I picked it up at a Stamp Store in Lakeland. I used Prisma colored pencils as my medium of choice! I didn’t put a sentiment on this card as of yet, as I wanted it to be available to me if I needed it for a special occasion! There is another shot of my card below, and I sure hope you won’t let this technique scare you away and you will join us at JUGS! You have to at least come on by and see all the fabulous cards from the Designers and our guest Cornelia! 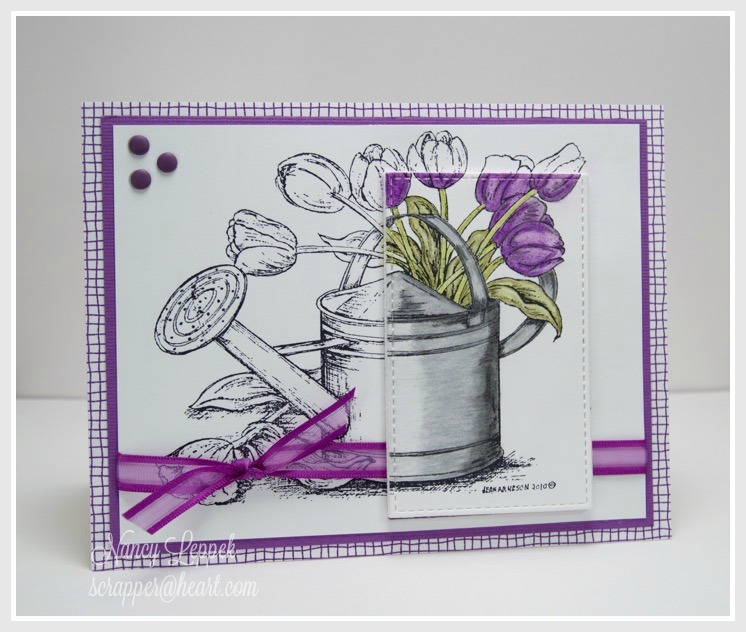 I am also linking this card up over at Addicted to Stamps and More where their challenge is to make your mark. Categories: Cards, challenges | Tags: Cards, coloring, prisma colored pencils, rubber stamps, spotlighting, stamping | Permalink. You sure don’t need to feel intimated any more! You got the coloring perfectly. Love this spotlight technique. Your card is simply marvelous and you should be proud. BEAUTIFUL coloring, that stamp is fantastic, it must be HUGE–who makes it??? Love the way you spotlighted the panel and colored it leaving the black and white beneath! Gorgeous!!! The purple is PERFECT! Beautiful card. Love the colors and your spotlighting technique. Such a pretty stamp and well done. This is beautiful! 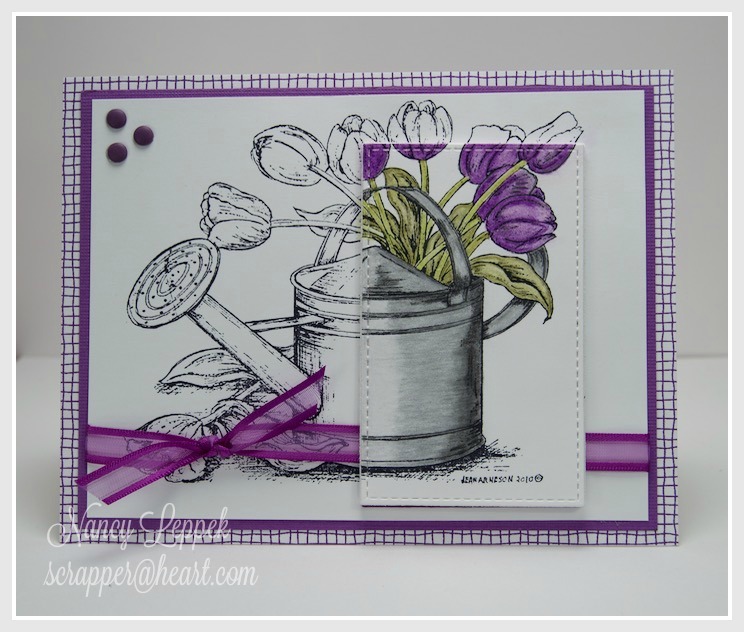 I love this stamp set and the way you spotlighted it……..absolutely beautiful! I’m not quite sure why you felt intimidated, because this card is all kinds of gorgeous!! Wow!! Beautiful and so well colored. WOW Nancy, this is STUNNING!! I love this technique and your card is outstanding! Beautiful coloring too!! Have a super weekend!! What a great image for doing the spotlight technique. Your coloring is fabulous and you’ve left your intimidation in the dust! You are so sweet!! Not sure about that but thank you! My artist hubby said it was pretty good too! Gorgeous! Great choice of images for this technique and you have colored it to perfection! Wonderful technique. So beautiful – fabulous spotlighting and exquisitely colored! So glad to be GDT with you this month! Oh Nancy! this is so pretty!! I do hope I can play along. My mojo flew to Wisconsin with my granddaughter LOL but hope I can get it back soon! I love everything about this, Nancy. The stamp is great and your coloring is fabulous. Well your coloring is simply perfect, and I love how you treated the technique. 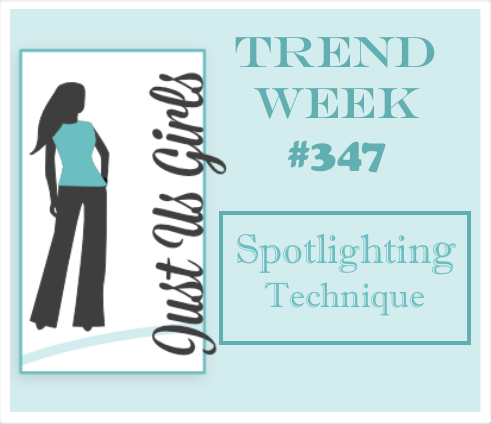 One’s first thought is always to do a circle – I think it’s because of the word “spotlight”. LOVE that you did a rectangle. Just a gorgeous, gorgeous card!!! WOW WOW WOW! stunning spotlighting. Love the layout.